This month I want to use this forum to discuss the work of a highly talented DMV area artist whose singular work has come across my radar recently. 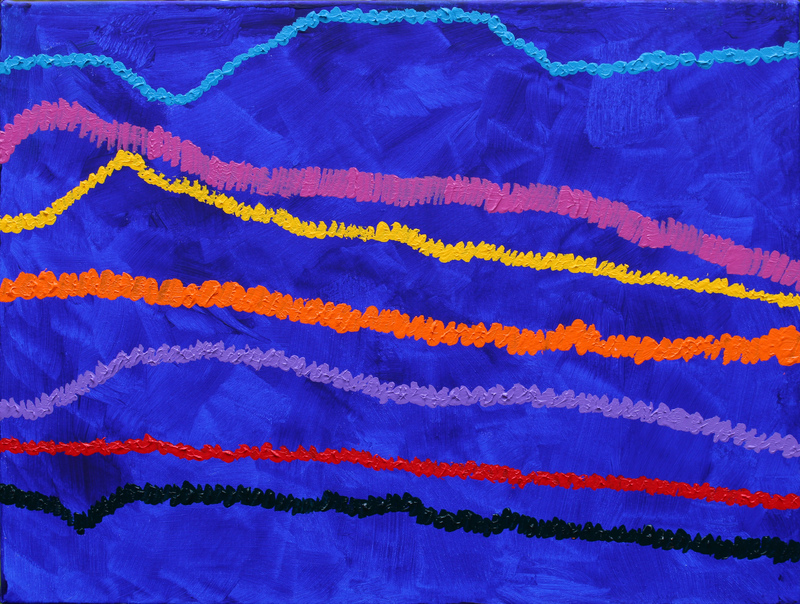 Quoting from his own website (http://www.leejaworek.com/), Lee Jaworek “calls his art Artism® – seeing the world through the prismatic lens of Autism. 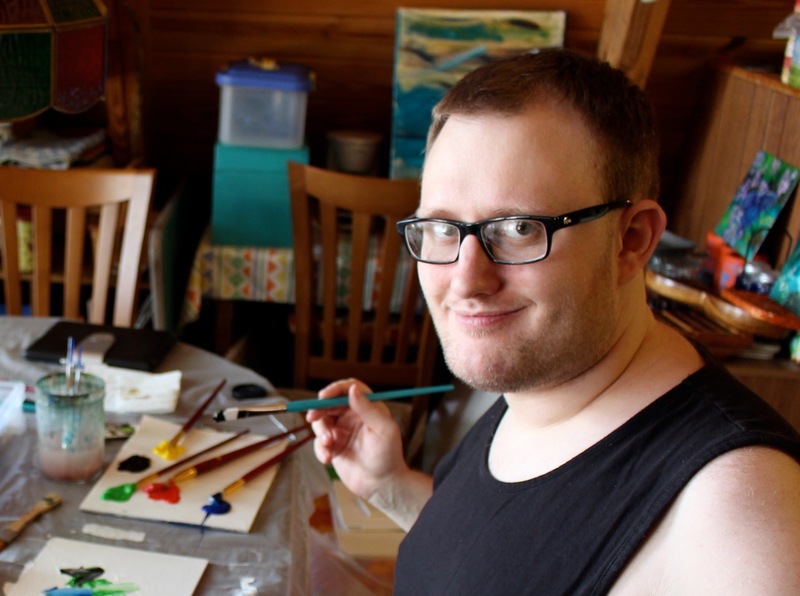 Lee is a young artist with Autism who tries to express his perception of the world through his art; the challenges — the triumphs — the beauty. Lee is a recent graduate of the Art Institute of Washington with a Bachelor of Fine Arts. Since his graduation he has been pursuing a career in painting impressionistic and abstract works. His paintings and prints have been exhibited in the Virginia State Capitol in Richmond, Alexandria Virginia’s Athenaeum Art Gallery, and at the Paula Poundstone Performance/Fundraiser at The Birchmere nightclub, as well as other galleries in the Washington Metropolitan area. Most recently his ‘Sunflower’ has been seen on CBS Sunday Morning as part of their sun art collection. Lee has received a number of commissions from private collectors while currently continuing to expand his portfolio. The first thing that struck me when I initially saw the works of this young artist was how visually “palpable” they were. This characteristic is not an easy one to achieve in either representational or abstract painting, and yet, nearly every work has a visual component that screams “this is how it would feel to touch it”, but the scream is in the use of colors and the brush (or finger) stroke. As many of you know, my wife is Dr. Alida Anderson de Campello, one of the planet’s leading researchers in Special Education, how to teach children with disabilities, the empirical effects of Arts integration, language literacy, and many others line of research that she follows from her position on the faculty of American University, where she has been teaching for nearly a decade. And because of that relationship, somewhat by osmosis I have learned a lot about some of the characteristics of the dizzying and many diverse points of knowledge about Autism (among many other things). And I know that one of them is the almost critical manner in which many people in the spectrum of Autism “sense” the most sensory perception of touch. In “Apples”, we see a perfect visual example of what I mean. These are not only an excellent offering of composition and color use, but also an insight as to how Lee “feels” the work through his special prism. 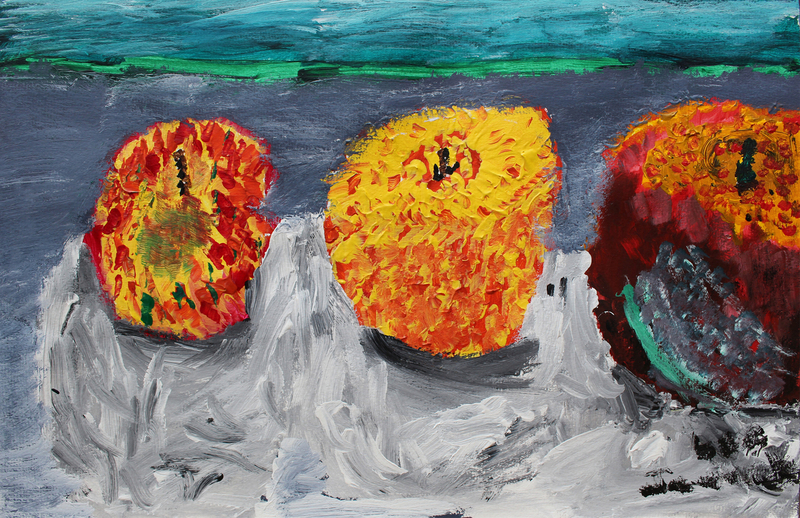 These are apples engorged in texture, but a texture foreign to most eyes and I suspect quite mundane to his own and special set of artistic vision – they succeed as a work of art because of that palpability. When I was a Navy officer and sailed several summers in a row around the Kola Peninsula at the top of the world, and later when I lived in Scotland, I was lucky enough to experience the mind-numbing encounter of seeing the Aurora Borealis in all of its unique mind-altering forms. I don’t know if Jaworek has (in real) life even seen the “Dancing Lights” as the Scots call them, but in his 2015 “Northern Lights”, once again his visual/sensory delivery is intelligently different. The lights are textured and presented in such a way that it would delight anyone and everyone who subscribes to the theory of everything, and the once radical idea that the pointy particles of particle physics can be also modeled as one-dimensional stringy objects – that’s how Jaworek delivers his Aurora Borealis. Visit www. leejaworek.com and meet a superbly talented and visionary transformer. This is a wonderful review. Lee and I have been friends pretty much since birth, and I think this really captures what makes him unique. Many thanks for reading us and taking the time to comment!! Wish I had been able to buy one of Lee’s paintings before I left Holmes Run Acres. My Mom was a big fan also!! !